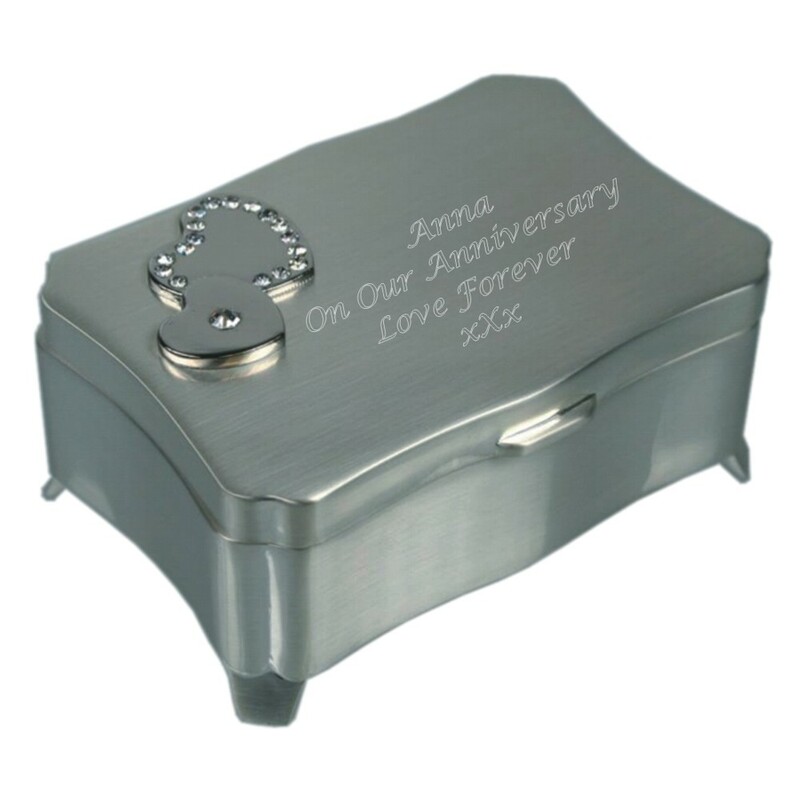 A beautiful engraved rectangle trinket box with 2 raised hearts in the corner. Personalised to your exact requirements. This amazing trinket box has a dark blue velvet lining, hinged lid and measures 80 x 55 x 40mm. A perfect gift for Anniversaries, Birthdays, Mothers Day, Mother of the Bride and Groom, Christenings, Christmas...it's endless!